I feel like, most days, the answer is yes, it IS a great day here in Austin. Which is why I say it (or something like it) a lot. I say it so much that a few years ago, when I was Mayor of Austin and my oldest son was still pretty young, he related how he thought I might be when I was a very old man. The thing is, as I said, it usually is a great day to be in Austin. That’s largely because so many great people have chosen to be here. Our greatest assets are our people, and we wouldn’t have such a special place if not for some of the leaders – from every part of this community – who’ve helped shape it. That’s one reason I enjoy Black History Month, which we’re celebrating right now. It’s a rare – too rare – chance to focus on essential individuals who should be remembered and talked about every day. 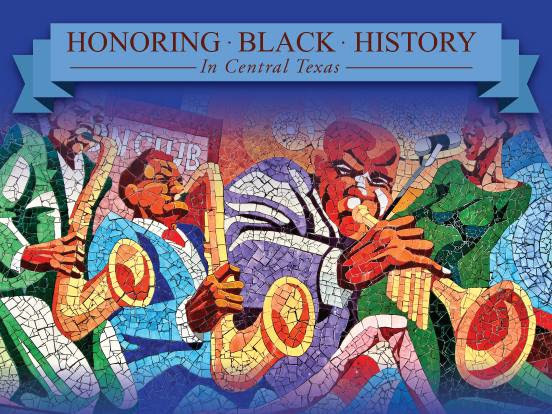 So I’m spending February writing about some of our most important leaders who’ve made Austin and Central Texas great. Folks who left behind a legacy that we take advantage of every day. All month on my Facebook page, I’ll be posting pictures, short bios, and links wherever possible relating to important black leaders who’ve left their mark on our community and, in many cases, our state and nation. 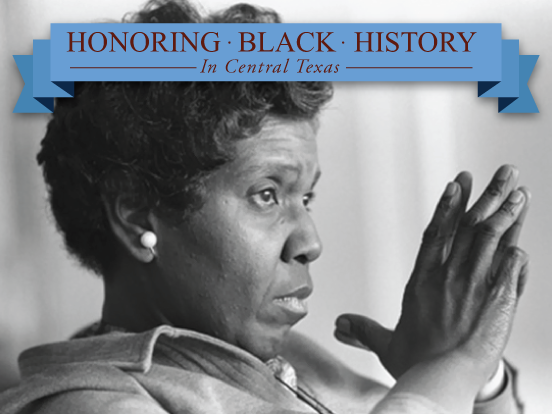 Earlier today, I posted about Barbara Jordan, one of our most important public servants ever. As Texas’ first female African-American to serve in the Texas Senate, Ms. Jordan helped transform Texas politics. And of course she made an indelible mark on national politics during the Watergate hearings. Check out this speech to the 1976 Democratic National Convention. By the time Liz and I moved to Austin, Ms. Jordan was settling in as a seminal professor at UT’s LBJ School of Public Affairs. She was a fixture in Austin through the 80s and early 90s; even though she was from Houston, it was easy to think of her as ours. Our community is better off for her having been a part of it. Last year, we lost another great community leader who really ought to be better known than she is: Willie Mae Kirk – “Ankie” Kirk to her friends, “Mrs.” Kirk to everyone.I’m trying to think of how long it’s been since I thought of Ankie Kirk as anything other than family. Her daughters, Saundra and Connie, have been teasing me for years, calling me their “little brother.” And her son Ron (yes, the former Dallas mayor and U.S. Trade Representative) is one of my better friends. But the truth is that Mrs. Kirk made all of us feel like family – no matter our name, position, title, possessions or needs. To her, it wasn’t just coincidence that we called Austin home, walked the same paths or bumped into each other as we worked our ways through life. She felt it in her bones that we were all in this together. So she made us better. And she made our city better. Ankie Kirk was one of 14 kids. Born into Jim Crow. Orphaned at 12. Grew up in a stifling, segregated city and state. Talked her way into a college scholarship. Met and married Lee Kirk. Raised four children. And she was a force. She pushed. She required discipline and demanded action. She went to work on civil rights issues and tangibly improved race relations in this city. She served on Austin’s first Human Rights Commission. She was an ad hoc member of a committee that addressed a race riot arising from efforts to desegregate businesses near UT. The Carver Library wouldn’t be in East Austin today without Mrs. Kirk’s efforts. And it definitely wouldn’t have been expanded in the mid-70’s. 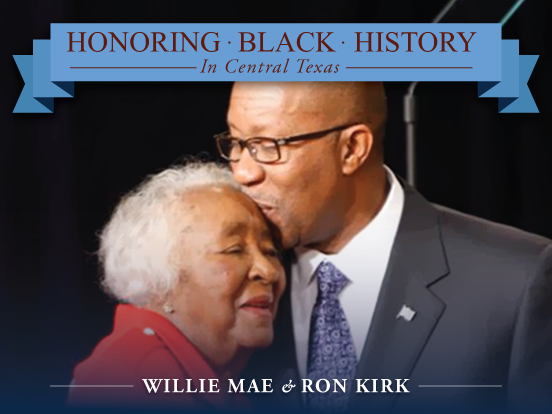 It’s entirely fitting that the Oak Springs Branch Library was renamed the Willie Mae Kirk Library. Oh, and she taught in public schools for 32 years. That’s generations of kids who remember her making a difference. And she didn’t just stand in front of a classroom – she fed, clothed and nurtured those who needed more. Ankie Kirk’s raw empathy – the sense that your community is your family and that “family” means something – is a rare and precious thing. And it’s easy to feel like it’s vanishing – as if all that good is fading and leaving us behind. But it isn’t. That grace and love – for all of us and for this community – is what she left us. It’s her gift. It’s our inheritance. And there’s a lot of responsibility in that. As we reap the rewards of her legacy, we share the duty to extend her grace. We owe it to her – and to each other, not to mention the folks who’ll come after us – to show what it really means to love a place by loving the people who make it great. It’s a great day to be in Austin, Texas. Now let’s go out and make it better.